There is money to be made at the festival with big priced winners guaranteed. 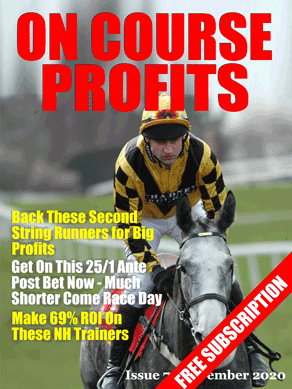 Don't miss out – Grab your FREE 32-page Cheltenham Guide here! ⦁ In-depth analysis of all 27 races, including a rundown of all the likely contenders. ⦁ Tipster Joe's Cheltenham Notebook – three horses that have caught the eye this season that could be worth a cheeky punt at BIG odds! ⦁ A two-page spread dedicated to the BIG race of the day. Ensure you are prepared for this year's Festival – get your free guide here. Before I pass you over to Josh, just a reminder that the Classic Racing Gold offer closes today. This service made over £2,800 to £10 stakes from August to January and our 3 month review supported those claims. Today Josh Wright of Betting Insiders and Racingtoprofit looks at the trends for tomorrows Lanzarote Hurdle and gives his initial assessment.